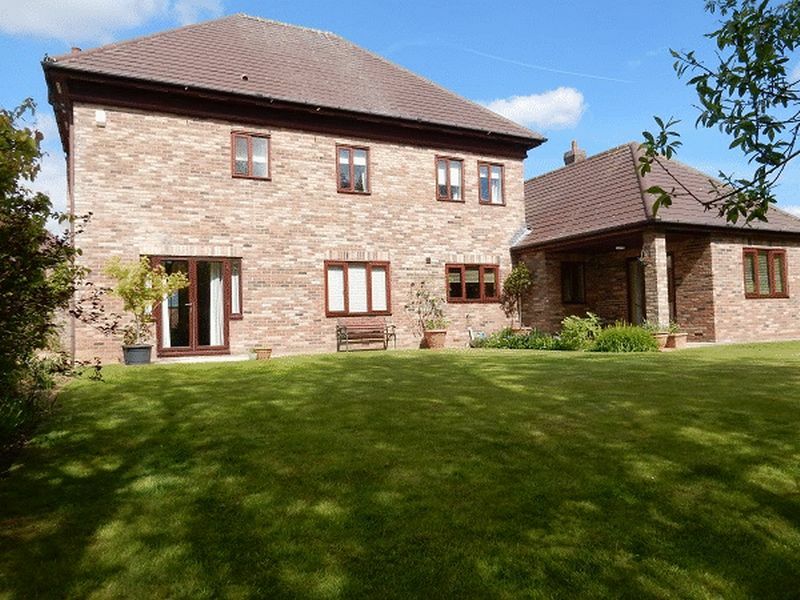 This impressive five bedroom detached home boasts a private rear garden with fantastic views over Wynyard's Wellington Golf course and offers well proportioned family living accommodation. 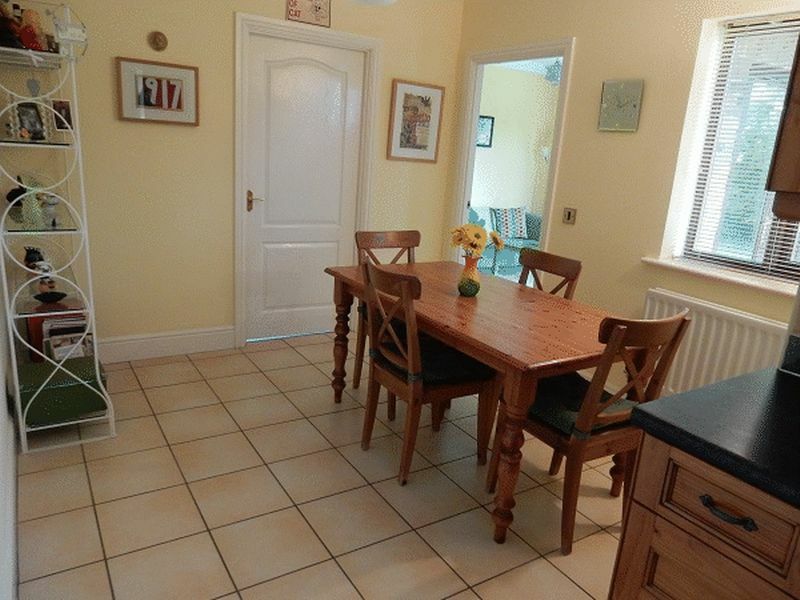 Sitting in this sought after cul de sac, this well maintained and attractively decorated family home is highly recommended for viewing to fully appreciate all it has to offer. 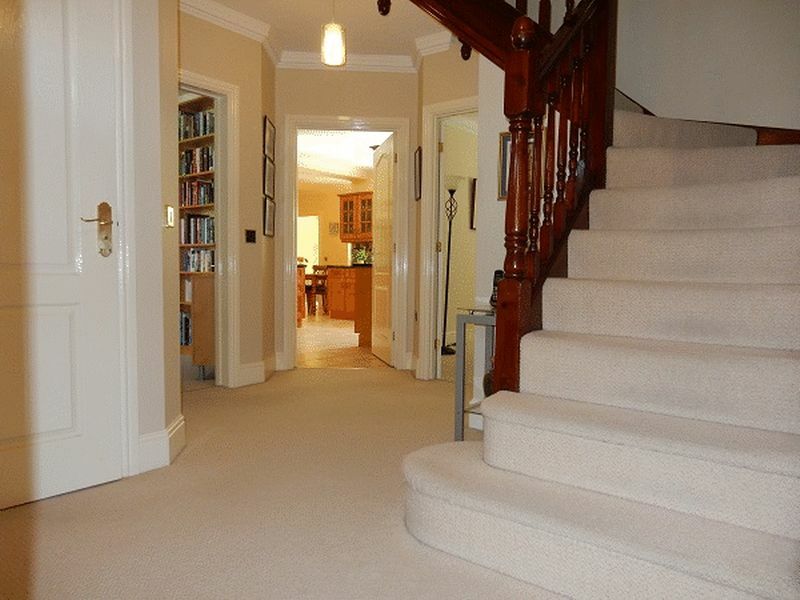 This stylish property features a spacious hallway with cloaks/WC. Dual aspect lounge with French doors opening onto the garden, split kitchen/breakfast room, study, utility room, dining room, garden room with French doors to a patio, There are five first floor bedrooms with master bedroom providing en suite bathroom and guest bedroom with shower en suite along with a family bathroom. 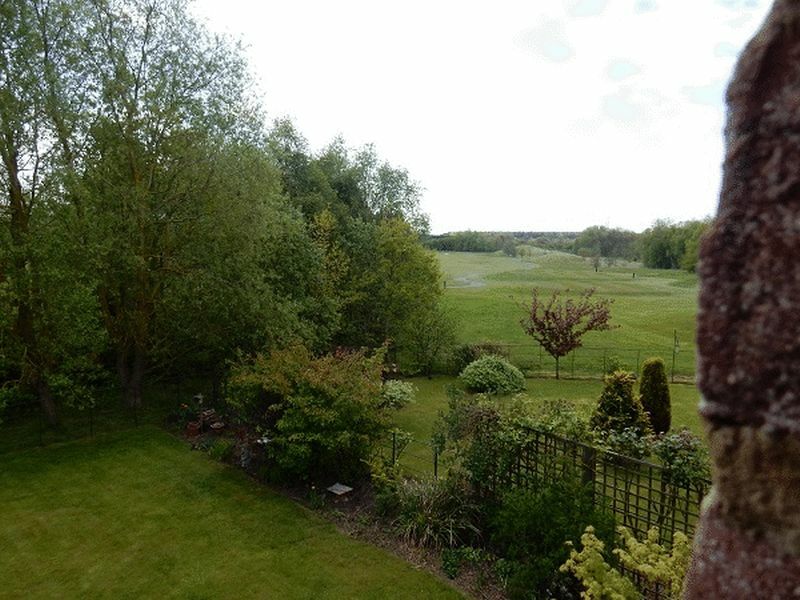 Externally are established gardens with a block paved drive to a double garage to front elevation and private rear garden boasting views over the golf course. 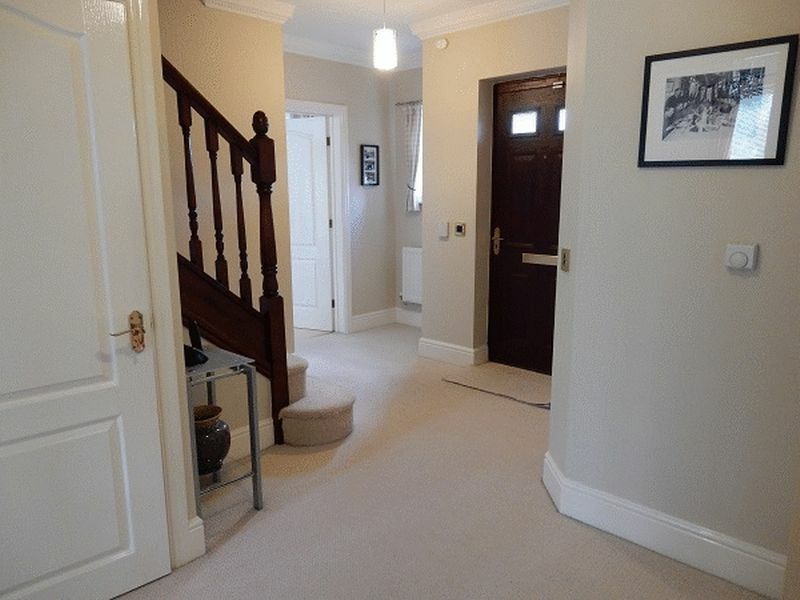 Spacious entrance hall with radiator, understairs storage cupboard, staircase to first floor, window to front aspect. 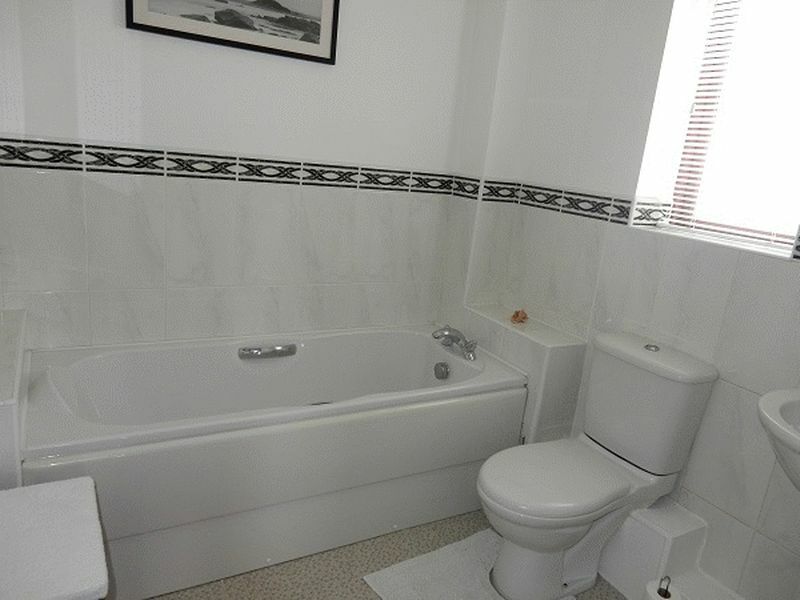 White two piece suite comprising; corner pedestal wash hand basin with tiled splashback, close coupled w/c, radiator, coved ceiling, window to front aspect. 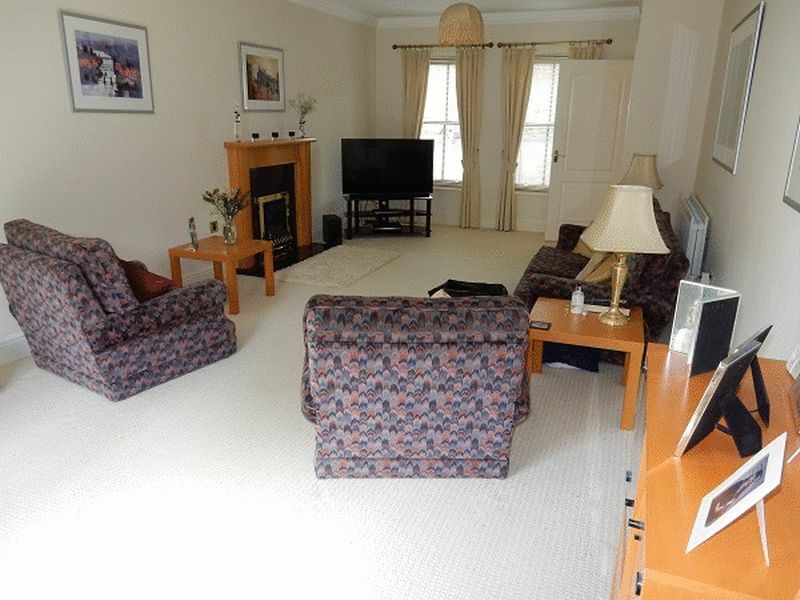 Generous sized living space with living flame gas fire in attractive surround, two radiators, coved ceiling, two windows to front aspect, French doors opening onto rear garden. 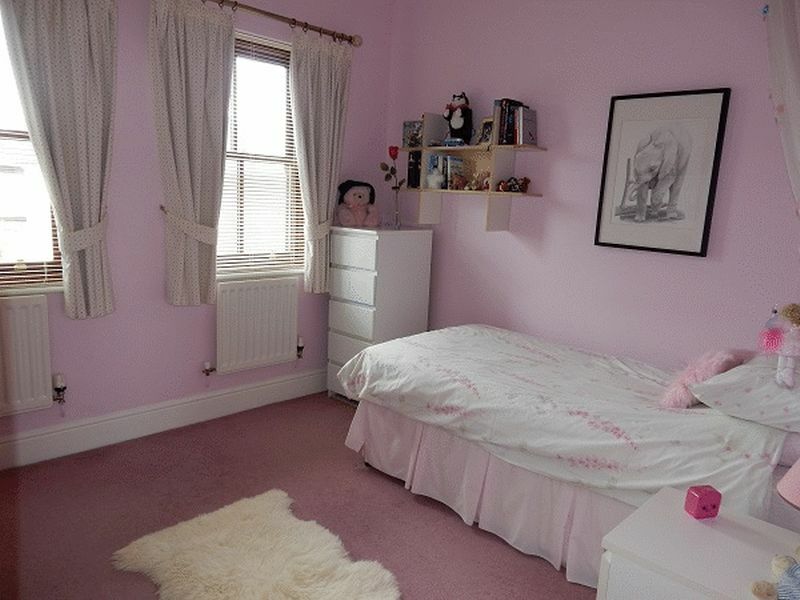 Radiator, coved ceiling, window to rear aspect. 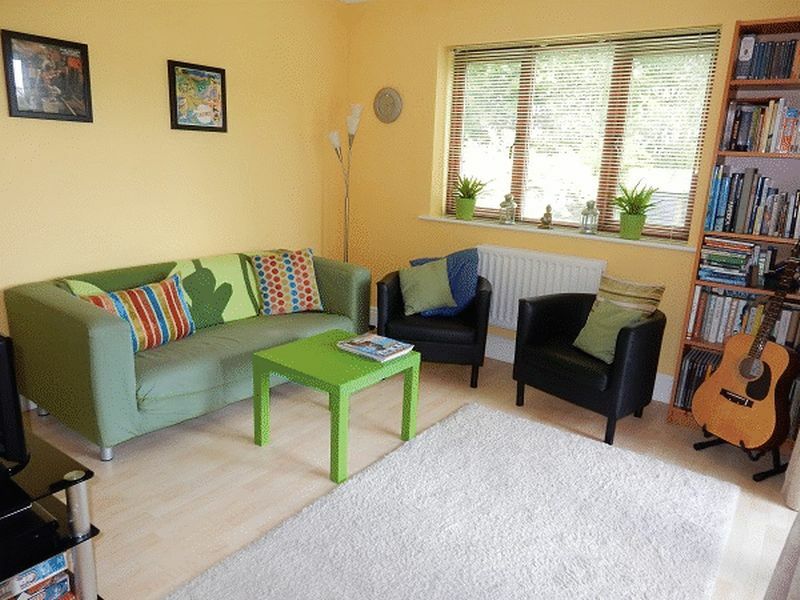 Radiator, coved ceiling, two windows to front aspect. 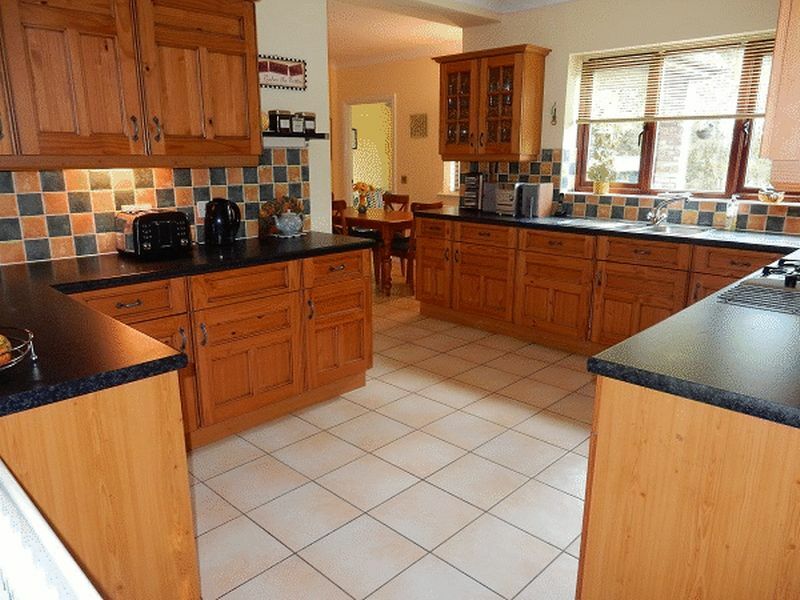 Range of wall & base units with complimenting work surfaces, integrated fridge, freezer & dishwasher, inset 1 1/2 bowl stainless steel sink unit with mixer tap over, inset gas hob & electric oven with extractor hood over, inset ceiling lights, window to rear aspect. Radiator, coved ceiling, tiled floor, window to rear aspect. 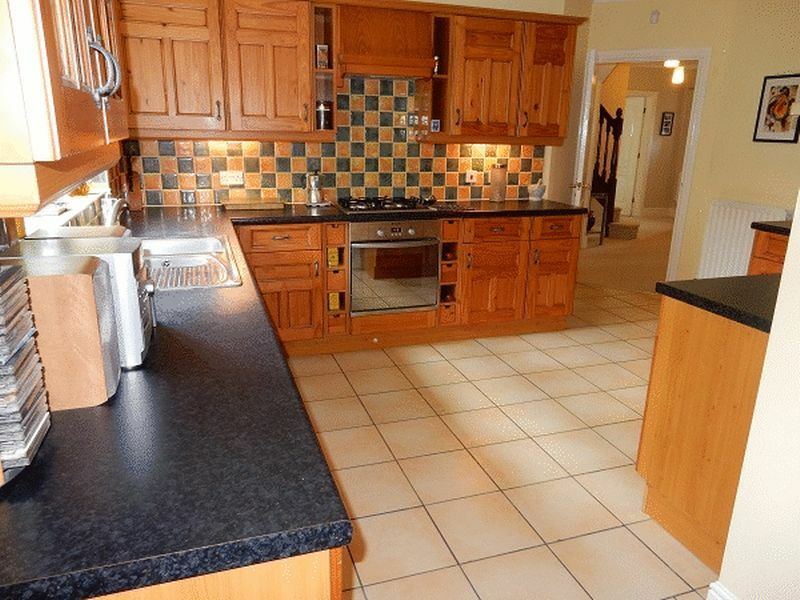 Base unit with inset stainless steel sink unit with mixer tap over & tiled splashback, plumbing for auto washer, radiator, coved ceiling, wall mounted central heating boiler, side access door and door to garage. 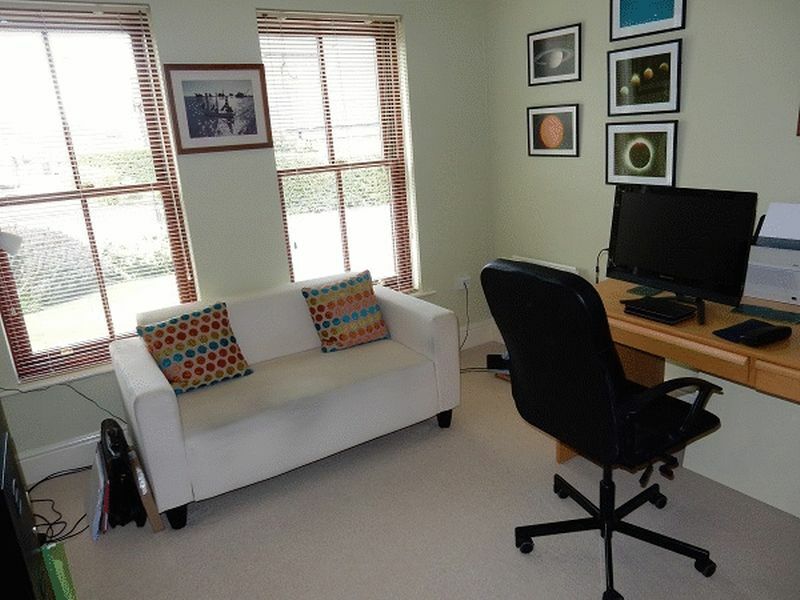 Light & airy room with radiator, coved ceiling, French doors opening onto a patio providing views over Golf Course. Radiator, coved ceiling, built in cupboard housing hot water cylinder. 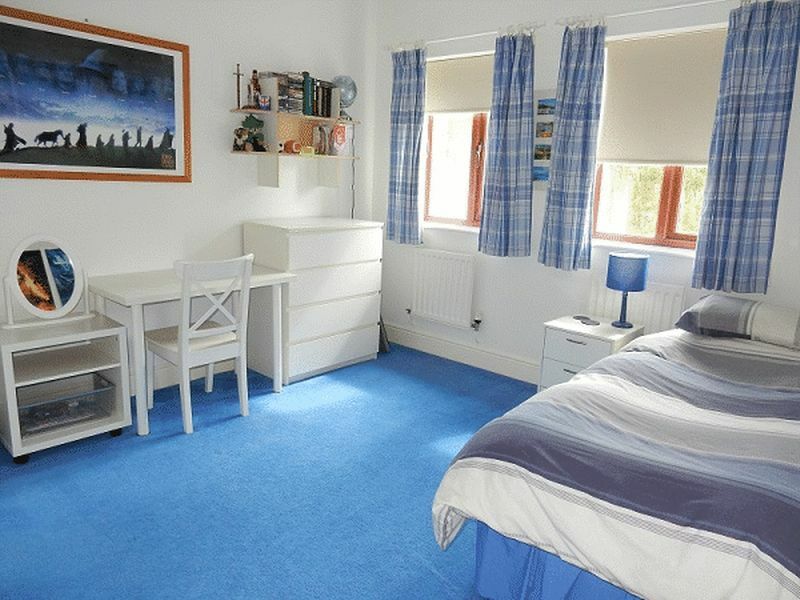 Good sized bedroom with a range of bedroom furniture; wardrobes, drawers & dressing table, two radiators, coved ceiling, two windows to front aspect. 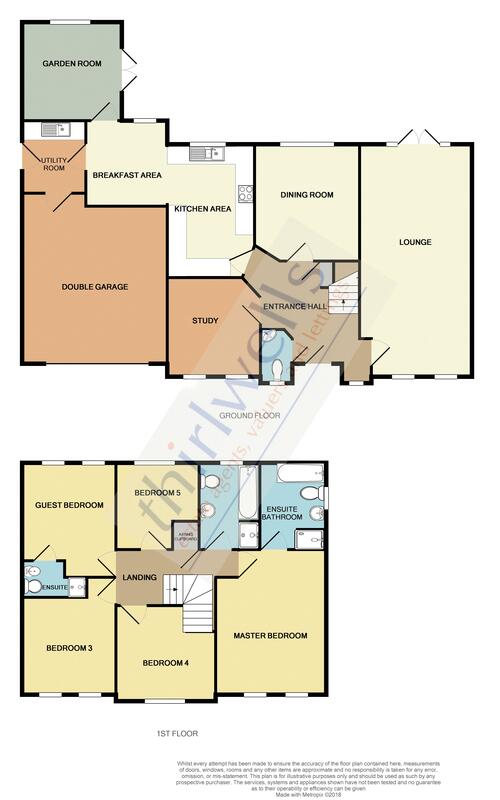 Four piece suite comprising; step in shower, panelled bath, pedestal wash hand basin, close coupled w/c, tiled splashbacks, radiator, inset ceiling lights, extractor fan, window to side aspect. Two radiators, coved ceiling, two windows to rear aspect. 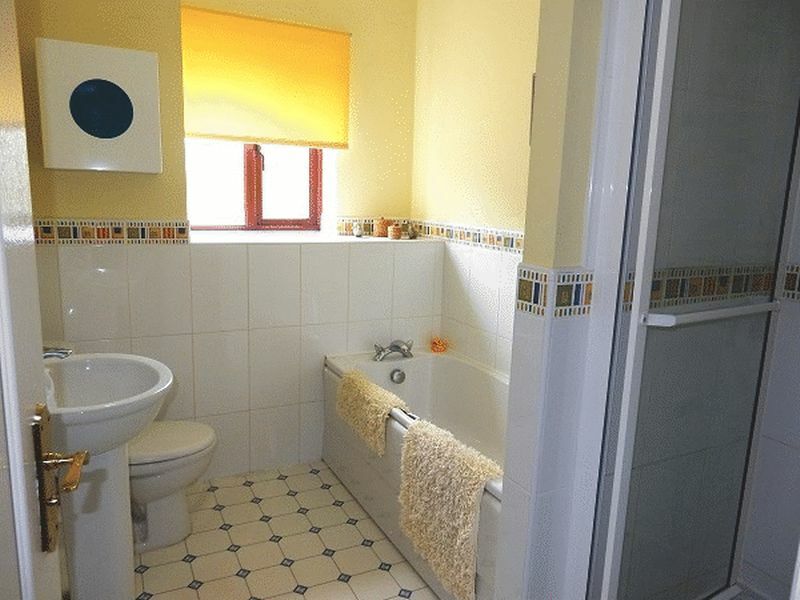 Three piece suite comprising; step in shower, pedestal wash hand basin, close coupled w/c, tiled splashbacks, radiator, inset ceiling lights, shaver point, extractor fan. 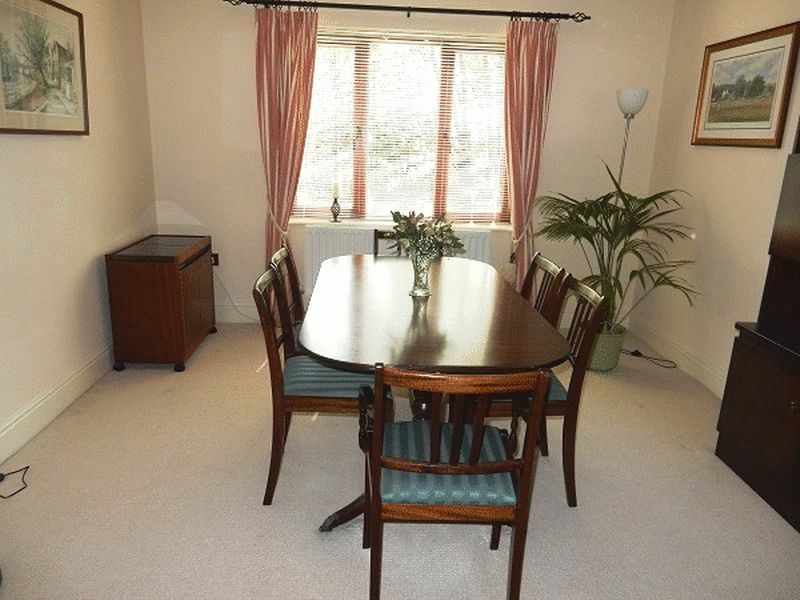 Two radiators, coved ceiling, two windows to front aspect. Radiator, coved ceiling, window to rear aspect, access to roof void with pull down ladder to part boarded loft space. 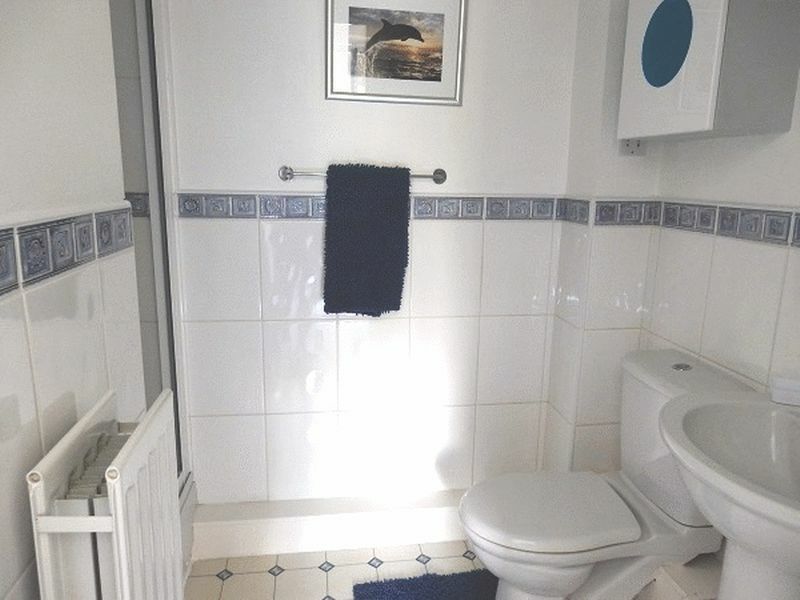 Four piece suite comprising; step in shower, panelled bath, pedestal wash hand basin, close coupled w/c, tiled splashbacks, radiator, extractor fan, inset ceiling lights. 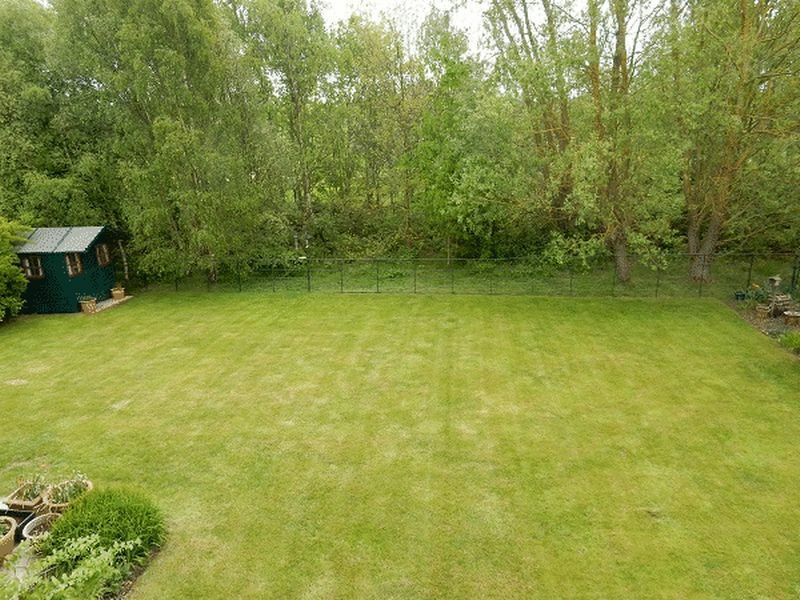 Mature front garden with well stocked shrub borders, block paved driveway to double garage. 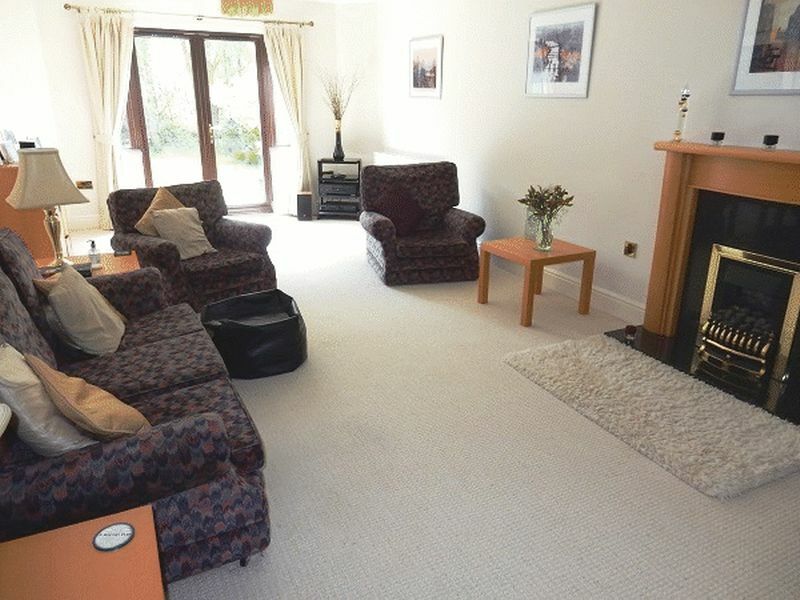 Private rear garden mainly laid to lawn and patio, boasting views overlooking Wynyard Golf Course. 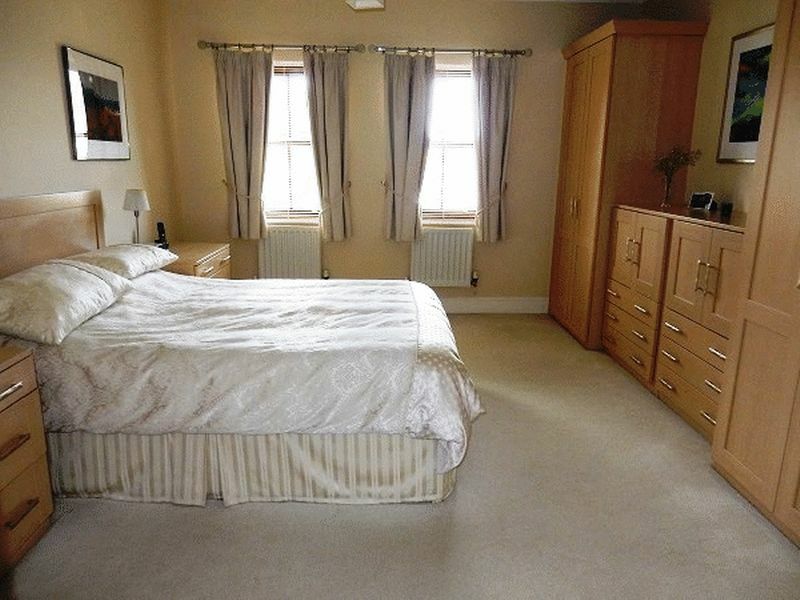 Security alarm, all carpets, curtains & blinds included. The owners have had this Charles Church property from new (2002). An original building fault - a soakaway drain not being installed on the rear corner of the house - was corrected under the NHBC new build warranty (2002-2012). A soakaway drain was installed and some localised mini-piling was completed. There have been no issues since this work was done and there are no visual signs of any kind of the remedial work. 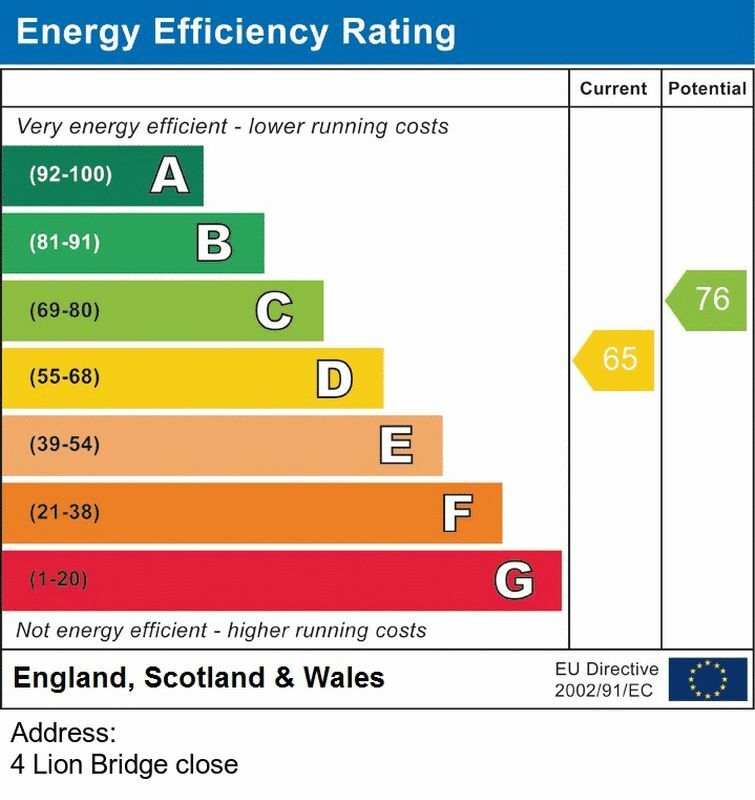 A Certificate of Structural Adequacy, a Building Regulation Completion Certificate and an up to date structural assessment form are in place on this property. 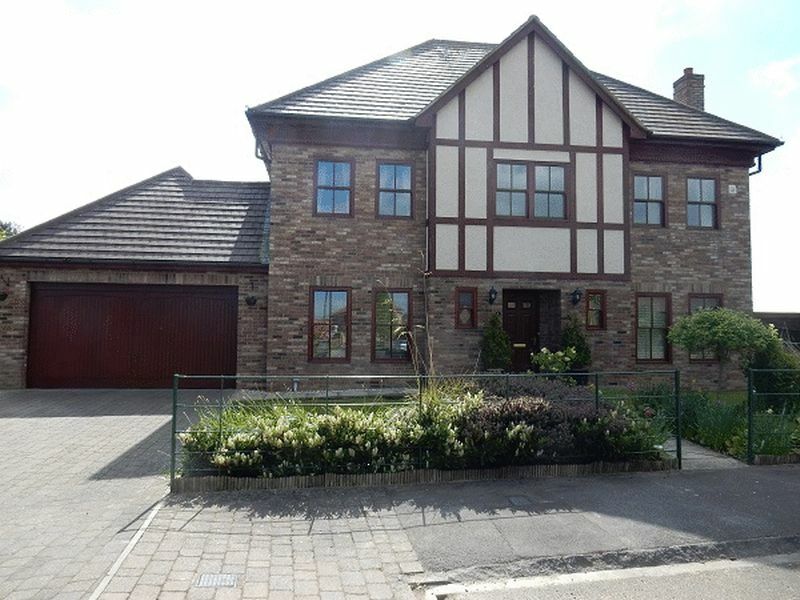 There have been no issues insuring the property which is currently insured with Legal and General.